You will find it hard to resist our shearling aviator jacket. 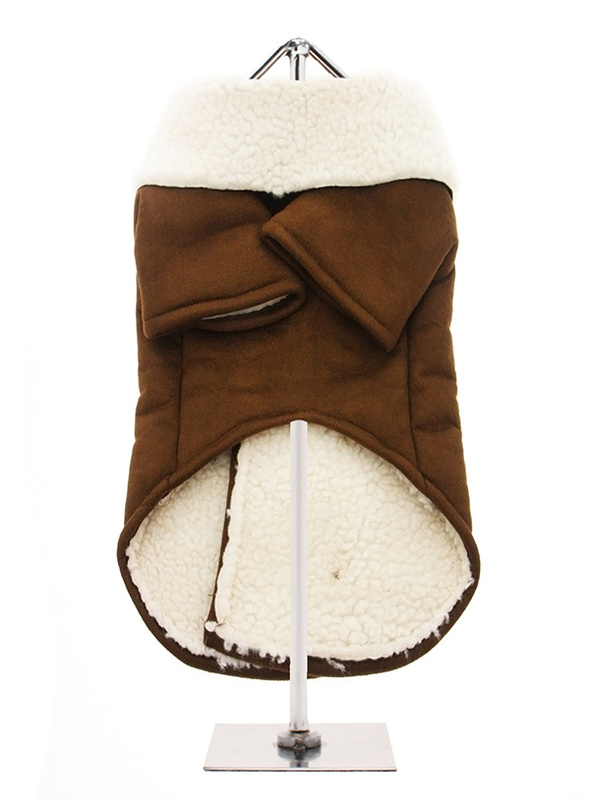 It is so soft, light and smooth to the touch but still incredibly warm. 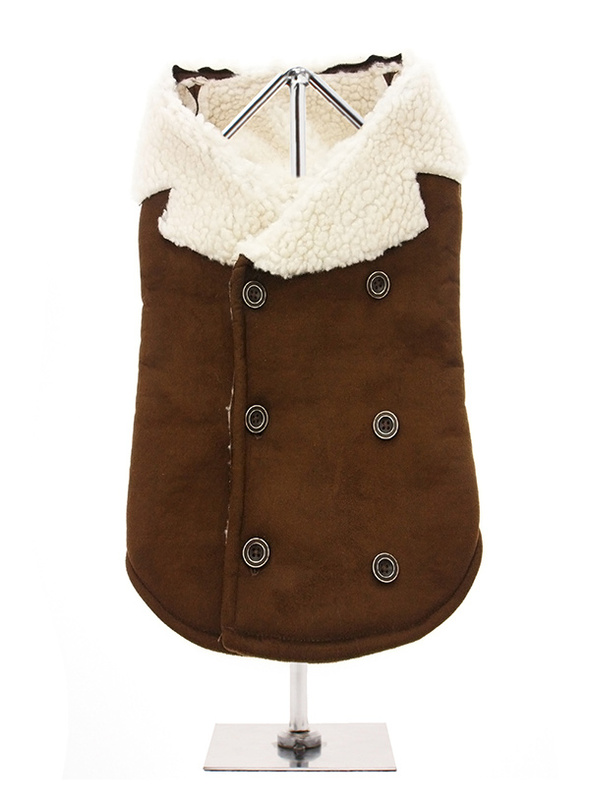 Fleece lined with a faux suede outer it really is a great coat for keeping you dog warm and snug. 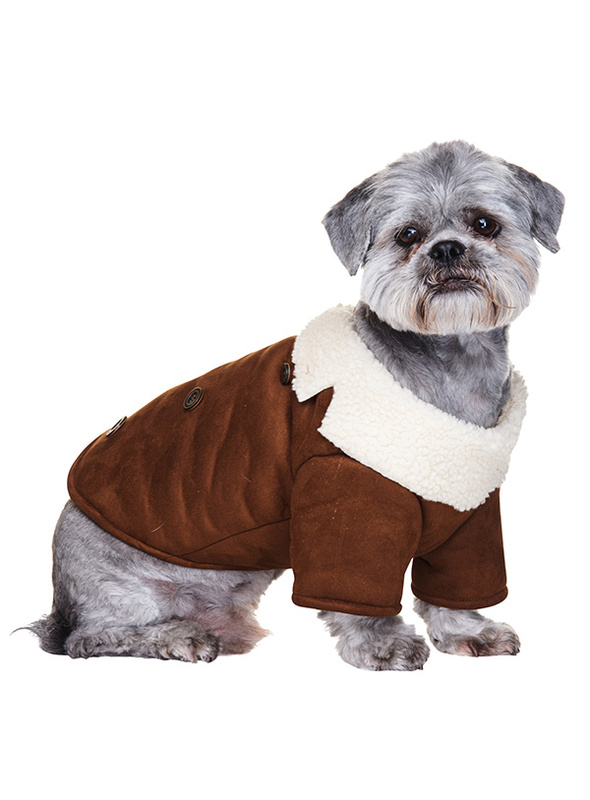 It's has a traditional double breasted finish with six buttons three of which are the actual fastenings for the coat. With this coat you will be ready for anything the weather throws at you.